If your employees don’t know the wellness program exists, you can’t expect them to participate. Send out email blasts to notify your employees of specific challenges and events. Hanging posters around the office may seem old-fashioned, but it’s also an effective way of advertising and getting people’s attention. As the kick-off for a new challenge approaches, don’t be afraid to send a reminder in case anyone had been planning to participate but forgot to sign up. A successful wellness program will often have support from the top down. Encourage management to join, and ask them to help spread the word throughout their individual departments. Perhaps managers can even serve as a team leader to help motivate their employees to join the program too. You’ll likely see a higher level of interest on all levels if management helps to set a good example as opposed to expecting employees to join a program that the higher ups aren’t even interested in. By assigning designated wellness captains to lead a group of individuals, you help create a supportive team atmosphere with an inspirational role model to lead the way. Choose leaders with a positive attitude and a healthy lifestyle routine to encourage others to become more active and focused on the team goals. Through motivation and strong leadership, completing challenges as a team becomes easier and more fun to achieve. The team captain plays a huge role in the success of the overall team and ultimately the success of the wellness program. In order to get people interested in your wellness program, you may need to offer incentives that make the program worth your employees’ time and effort. Whether you chose to offer a monetary reward or a company perk, like a prime parking spot or an extra day of vacation, is up to you. People are typically more motivated to participate if they see an immediate value to their actions. Clearly explain the goal and reward and you’ll likely see an increase in company participation. Consider offering employees a discount on wearable devices if they join the wellness program. Some companies may choose to reimburse employees for the wearable once a certain goal is reached. This form of subsidization allows the company to reward a serious participant in the program and encourages others to continue to work towards a specific goal. By using a wellness portal, like MediKeeper, to keep track of your employees’ health, you’re not only making it easier to access the company’s data, but also for your employees to view their individual statistics. All the data is stored on an easy-to-use dashboard that includes everything from their basic health information to customized plans aimed at improving their overall well-being. A wellness portal also makes it easy for people to sign up for social challenges, receive health coaching and read educational content. 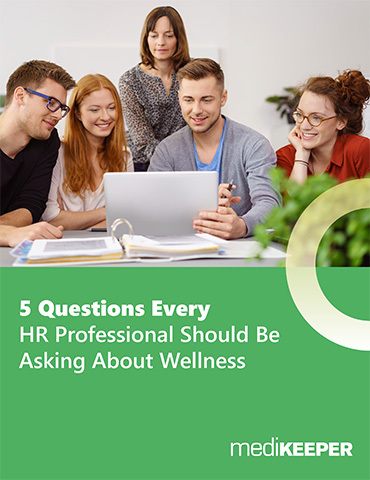 Having access to all of these resources literally at their fingertips makes it much easier for employees to get interested in a wellness program. By offering either individual or team-based challenges, you appeal to people’s competitive natures and turn developing healthy habits into a game. It’s common for people to want to the best and your employees may try harder in order to see their name at the top of the leader board. Whether you do this by posting the top performers of the week, such as the people with the highest number of steps, or by organizing team challenges based on departments, the result will likely be a higher level of participation as people try to work their way to the top spot. Get rid of temptation by removing junk food from your office. Instead of supplying vending machines full of unhealthy snacks or ordering pizza or donuts for company meetings or lunches, choose healthier options to make it easier for your employees to stay on track. Add fresh fruit and veggies to the staff room to curb snack time cravings and opt to have meals catered by more health conscious restaurants. Make it as easy as possible for your employees to stick to their diet and reach their health goals. Help your employees get started on the path to better fitness by hiring a trainer to offer advice and guidance. With weekly or monthly visits, a trainer can meet with employees to discuss goals and offer tips on how to reach them. You could even hire a trainer to offer specialized group work out sessions. People may be more likely to get active if the trainer comes to them versus them seeking out a trainer on their own time. 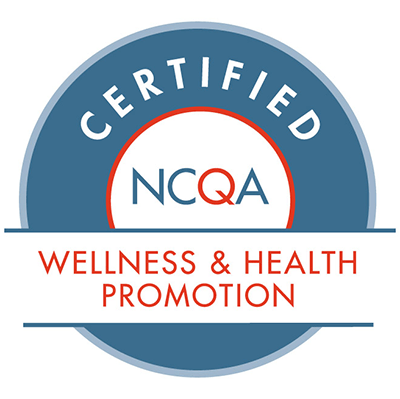 Constant encouragement is a great way to get your employees to actively participate in a wellness program. Share exercise tips and healthy recipes each week to gently remind people to make healthy choices in their daily lives. Ask your employees if they have any advice or recipes that they’d like to share in the future to further encourage active participation in the program. Try to implement at least some of these ideas into your wellness program to help it get off to great start. Don’t be afraid to try different tactics to reach your employees. Every company is different and what may work for one, may not work for another. Keep your company’s culture in mind and you’ll soon find the right recipe for success to grow your wellness program. Excellent blog! Concise and to the point!